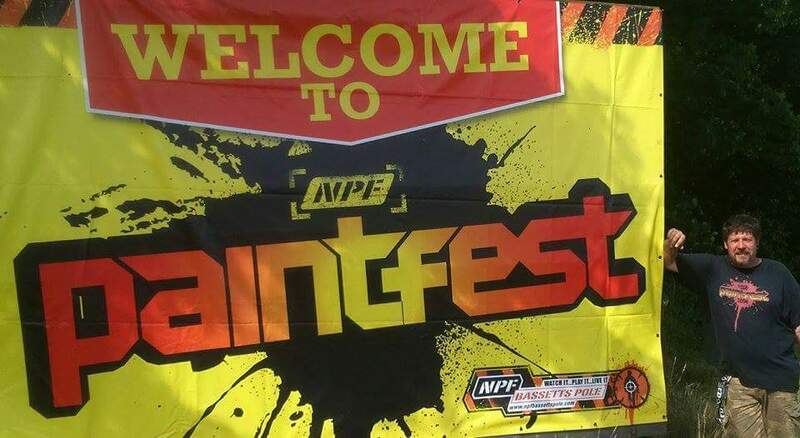 Paintfest is an unbelievable paintball festival held at NPF Bassetts Pole paintball site in Birmingham, and ran by a huge team of guys and girls including the legend that is Ged Green (Angel Sports, WDP, inventor of Hyper Ball, etc etc...! ), Kerry Mayo, Stuart Mayo and a whole host of dedicated team members. 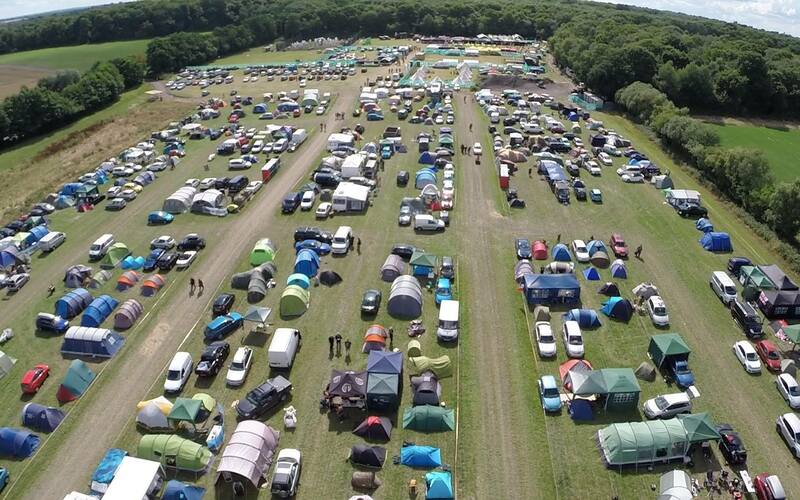 This drone picture doesn't even show the whole campsite, which I think is unbelievable! So we rocked up on the Friday around 3pm, set up camp, have a few beers ;-) and then went to book in and have a wander around the staging area. I think I got everyone on that list, sorry if I missed anyone! I should also mention the unbelievable food vendors, I ate from the pizza stand and the Mexican and both were excellent. I look forward to eating there again next year! Also the major companies all had techs present which is always great to see, so well done Tippmann, Dye, Planet, Smart Parts and I think Tiny from Magfed PB was single handily teching anything magfed related that came his way so a great showing from these guys. We didn't play on the Friday, so we socialised with the traders, teams and players and soaked up the atmosphere, something Paintfest has in abundance. 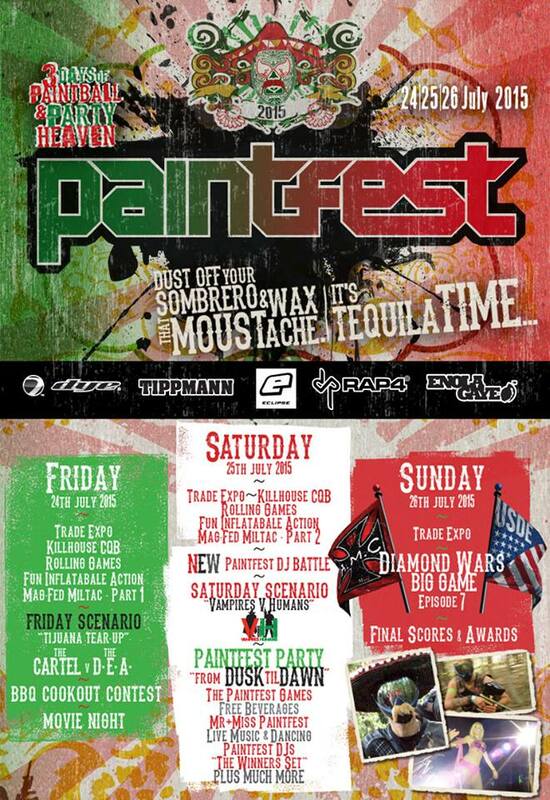 It really does live up to the name, paint(ball)fest! Saturday was one of the most beautiful days you could hope for at a paintball event, the sun was shining and there was a nice breeze to stop you from getting too 'over the top' hot. There was a full roster of games on, including Sup-Air from the guys at CPPS, a Vampires VS Humans scenario game, Miltac for the tactical guys and also their Killhouse experience with the guys from Hostile Intentions. There was something for everyone, beautiful weather, great company and a buzz about the whole event. This is what I think paintball is all about. The day then creeps into the evening, and the 'Enola Gaye' Paintfest Party begins. NPF put on one hell of a party, with a free bar for the duration. Great to catch up with loads of people, the MANC union lads, BZ chaps, NPF guys, Taz and his crew and everyone who got involved in probably the best party in paintball. The final battle over Camp Bassets was also some of the most intense fighting, and the players that made it to the end of what was a very rainy Sunday deserve big praise. The final result was a win for the USDE, but on the field it certainly never felt like we were losing, but maybe that was me just having too much fun shooting the USDE for fun. GOOD POINTS: Great people. Great paintball. 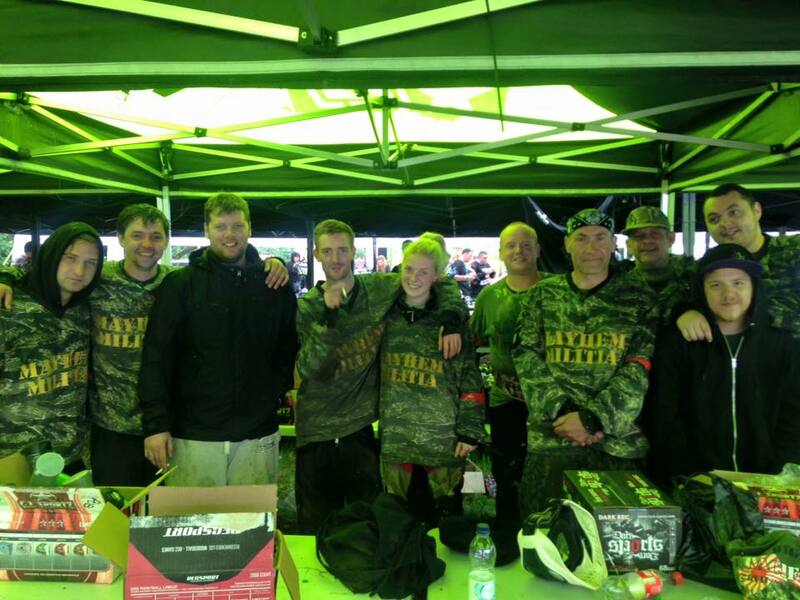 An absolute must for the calendar for any paintballer, this is what paintball is all about. BAD POINTS: The rain on the Sunday. Driving home. Mayhem Miliitia: Pete, Ben, Ed, Barry, George, Mick, Monkey Pete, Dalby, Brad, Ginge, Sparks, Emma, Ron, Tom, Alan, Chris, Dan, Nikki, Aaron, Neil. All of the Militia, you guys make these events for me. NPF Team: Ged, Kerry, Stuart, Frasier, Nikki, all of you are amazing. HMC: Taz, Lee and Daz, always a pleasure lads, can't wait for 2016, we'll get them next year. 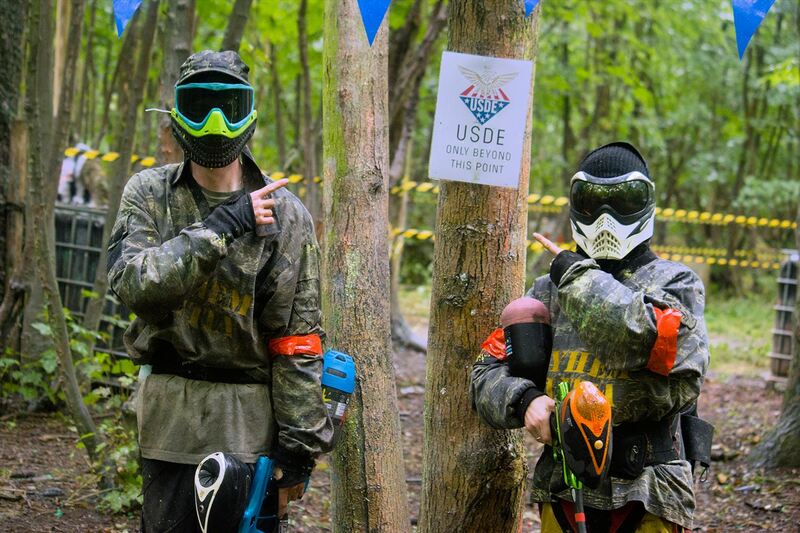 Everyone: One of the best events in paintball, if not the best. Thank you for being involved. Hope to see you at the Mayhem Big Game in a month's time.